Although workshops on academic leadership frequently devote sessions to the topic of work-life balance, that phrase is really misleading. It seems to imply that we’re either working or living but never doing both at the same time. However, this is a false dichotomy for most administrators. We’re obviously living while we’re working (despite a few long-past-their-prime presidents or provosts we may have encountered over the years). And due to the ubiquity of email, we’re often working while we should be resting, spending time with our families, and generally enjoying ourselves. In other words, life is work and work is life for most academic leaders, and therein lies the problem. We may think we’re being efficient by putting long hours into our work. We may even regard our inability to stop working as essential if we are to have any hope of getting through the mountain of responsibilities that seems to grow each day. But we’re actually fooling ourselves and doing a disservice to others. We’re fooling ourselves because extended work without a break has diminishing returns. In many cases, we’d actually get more done if we left the office at a reasonable hour, resisted answering any email from home unless it was an emergency, and resumed our tasks more efficiently the next day. We’re doing a disservice to others by failing to delegate certain responsibilities, because we’re depriving someone else of a valuable learning opportunity, and by giving the impression that one person can do it all, we’re making the job all the more difficult for our successors. There are several things we can do to bring our lives into better balance. Make sure the people who report to us take genuine vacations and restrict the amount they work outside of standard office hours.We may be setting a horrible example for the people who report to us when we don’t take as much time off as we’re entitled to and routinely take our work home with us. By encouraging (at times even compelling) others to make full use of their annual leave and nonworking hours, we may find ourselves feeling freer to do the same. We may also learn the lesson that all the work still gets done, even when people aren’t burning themselves out from constant activity. Have a serious conversation with our supervisors about realistic expectations for our work commitments.Just as we want the people who work for us to know that we don’t expect them to be on duty 24/7/365, so should we have conversations with our own supervisors about their expectations from us and the degree to which those expectations are reasonable. We may be surprised to find that the people we report to aren’t expecting—and really don’t want—us to be working night and day. Set firewalls around how many nights and weekends we’ll be engaged in campus activities.Almost all academic leaders will have a certain number of evening and weekend commitments. There will be guest speakers to introduce, open houses for prospective students to attend, artistic and cultural events to participate in, and a host of other activities where our presence will be expected. If we’re not careful, these events multiply to the point where there are no free evenings or weekends left. It’s important, therefore, to create some boundaries and protect an amount of genuine leisure time that’s appropriate for you and your position. Regardless of the amount, having at least some time that we can call our own is vital to preserving our positive attitude and energy. Develop alternative ways of being contacted for actual emergencies.Genuine crises do occur from time to time. 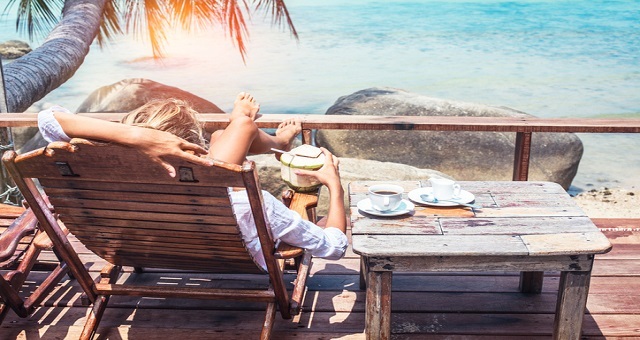 One way of preserving balance while taking time off is to disconnect: refrain from checking your email except perhaps once a day at a set time. Doing so, however, leads to the problem of being cut off from people who may have a legitimate need to reach you during an actual emergency. It can be useful, therefore, to make arrangements for how you should be contacted if a serious situation does arise. Letting your supervisor, direct reports, and administrative assistant know you’ll check your email while away once a day at about 7:00 pm, but you’ll be reachable by phone or text at other times if it’s absolutely necessary, accomplishes several things simultaneously. It gives people a way to contact you when they really need to, and it puts them on notice that you’re truly going to be on vacation, not merely working from a remote site. View delegation as a growth opportunity, not an imposition.Sometimes we’re hesitant to hand off a responsibility to someone else because we think it’s inappropriate to give more work to someone who’s already busy just so we can have an opportunity to relax. But the people to whom we delegate that responsibility may view the situation differently. They may be future academic leaders who want to get a taste of what it’s like to be the chair, dean, provost, or presidentWe may be thinking we’re being kind by trying to do everything ourselves, but we may have plenty of people who are eager for the chance to relieve us of some of our duties for reasons of their own. Jeffrey L. Buller is dean of the Harriet L. Wilkes Honors College of Florida Atlantic University and senior partner in ATLAS: Academic Training, Leadership, & Assessment Services. His latest book, the second edition of The Essential Academic Dean or Provost: A Comprehensive Desk Reference, is available from Jossey-Bass. Reprinted from “Take a Vacation – Please!,” Academic Leader, 31,11 (2015): 1,6. © Magna Publications. All rights reserved.